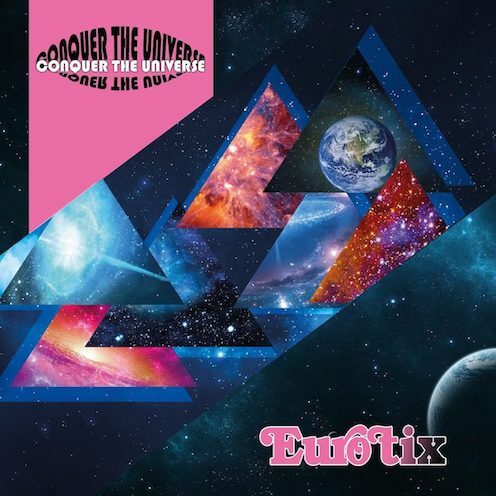 Mine and Larry Forsberg's synthpop project Eurotix just released the new digital EP "Conquer The Universe" so get ready for a retro synthpop and euro disco explosion! Fans of Melodifestivalen – Sweden's pre-selection to the Eurovision Song Contest – might find it interesting to know that the title track started out as a demo for Swedish singer Magnus Carlsson of Alcazar fame. Our version is less "schlager" and more synthpop though. The EP also includes the uptempo tracks "When Did Your Heart Grow Cold?" and "I'll Be Your Satellite", both inspired by eighties dance music. "If You Were A War" is the only ballad on the EP, with sad lyrics partly written by Dennis. Fun fact: Dennis' mum actually cried the first time he played the song for her. Listen to the whole EP down under. Support us by buying or streaming the EP. It's out now on iTunes, Spotify, Amazon UK, Amazon US, Tidal, Google Play and more. You can still get our CD albums from our official store.